This one starts with a potent blast of spice — pepper and maybe a pinch of cinnamon. For a few minutes, it does remind me of a fresh, original O. The nose-tingling spice is dialed down rather quickly, and the profile settles around a core of wood and nuts. As it comes into balance, it begins to remind me of another smoke I reviewed this summer, the Padilla Habano. The resemblance is no coincidence, as Gilberto Oliva had a hand in creating the Padilla Habano blend. Further, Oliva produced the Habano for Padilla before manufacturing was shifted to Tabacalera Fernandez. The burn and draw are humming along nicely approaching halfway. It is modestly spicy now, nothing like the jolting first half-inch. The body is now squarely in the medium range. A pleasant nuttiness begins to overtake the cedar, and the finish takes on an increasingly toasty component. The only off flavors are of my own making, as I pick up a metallic note when I hit it too aggressively. I back off a bit, lesson learned. There are no surprises on the closing third. A little uneventful, perhaps, but the flavor remains clean and funk-free down to the final half-inch. For other takes on the Serie O, check out Jesse’s review of the Perfecto at CigarJack.net and George’s review of the Toro at StogieGuys.com. 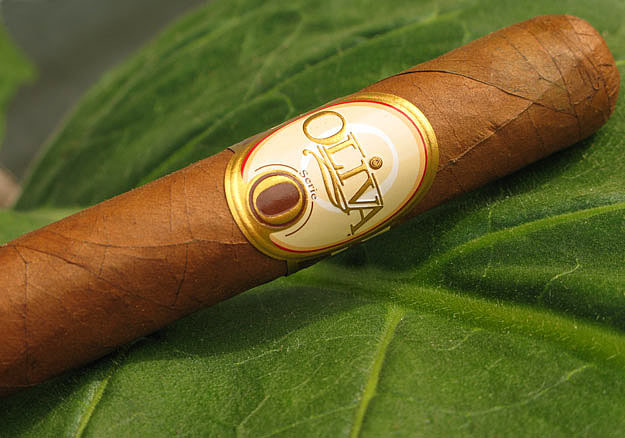 CONCLUSION: Does the Serie O match my romanticized notion of the old school Oliva O? Nope. But it’s a solid smoke in all respects. The construction is sound, the price is fair and the flavor is reasonably complex. I think of it as a Padilla Habano minus the cocoa. I can’t say I’ll be rushing out to pick up more, but it gave me a satisfying 45 minutes on a laid back Saturday morning.